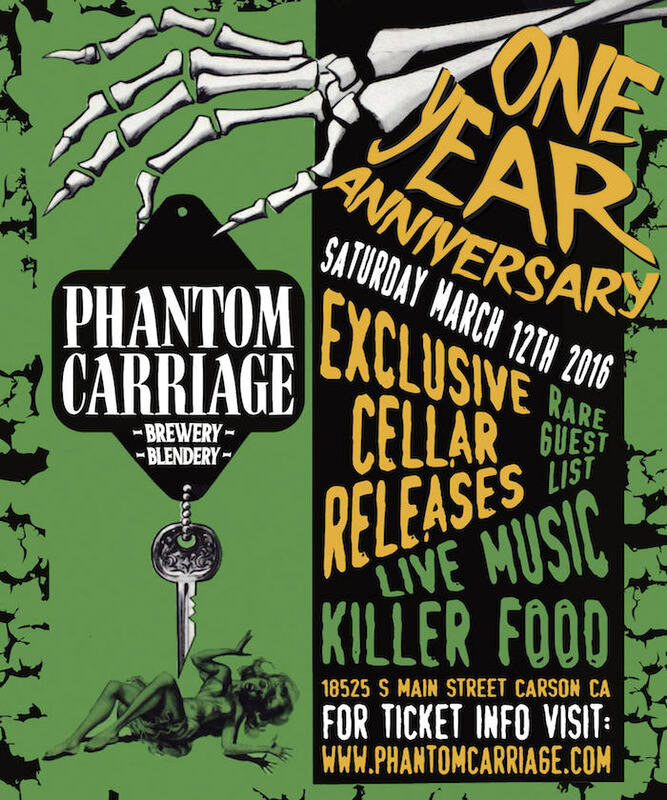 The Tap & Cheer team is excited to be working with Phantom Carriage as they celebrate their one year anniversary! It’s been another great way to celebrate the Los Angeles brewers. There will be 30 Phantom Carriage libations with a guest beer soon to be released. Your ticket to the event includes 5 beer tasting tickets and a commemorative glassware. There will be cheese pairings, exclusive Phantom Carriage cellar releases, a bottle release, killer BBQ’d food, live music, gruesome horror films, and plenty more! Come on out and join all the fun this Saturday, March 12th! We’re excited to announce another Tap & Cheer hosted event with the Women In Local Food Scene, Los Angeles! 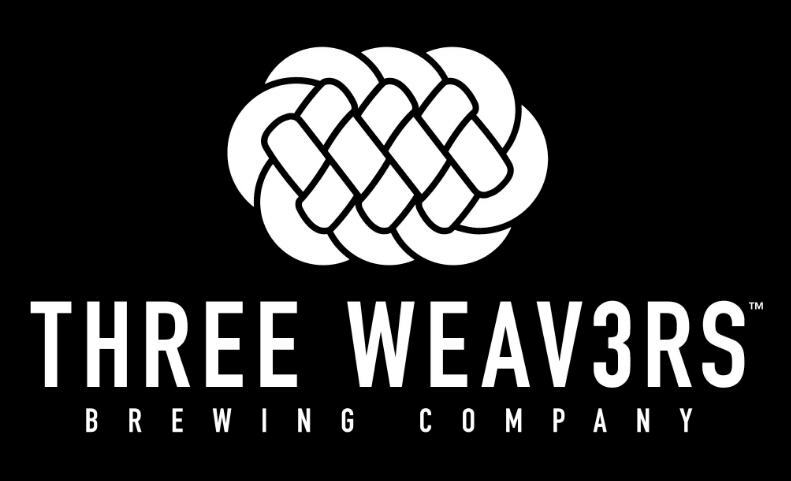 This time we’ve planned an exclusive event at Three Weavers Brewing Company for January 29th from 4pm-7pm. Join us for a discussion with Founder, Lynn Weaver, a private tour of the brewery, followed by a beer and food pairing! Learn about how Lynn became the successful owner of this new brewery with award-winning Brewmaster, Alexandra Nowell. They have joined the Los Angeles Brewers Guild and you’ll be seeing much more of them in 2015! Please click HERE to RSVP for the event. Learn more about the Women In Local Food Scene, Los Angeles by checking out their official website. 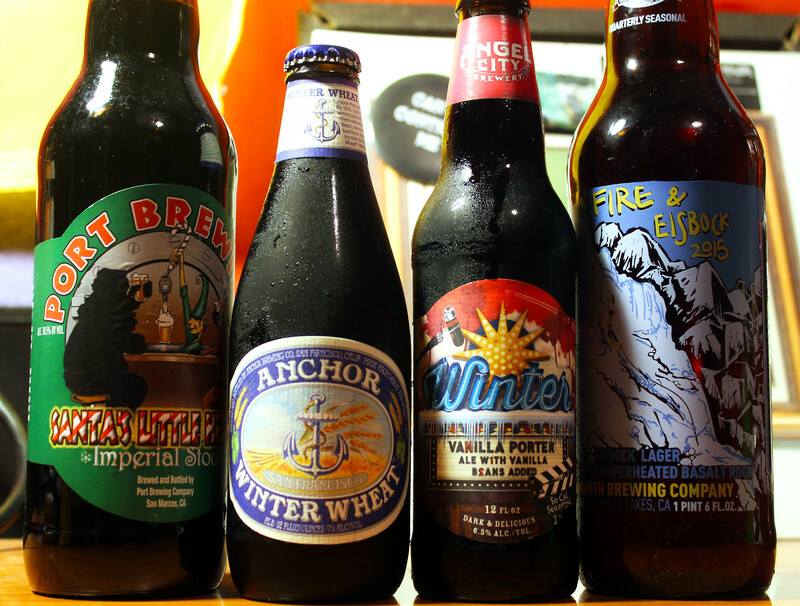 Seasonal winter beers to celebrate! It’s December now and the pumpkin beer craze is almost over. Now, despite the deliciousness of pumpkin beers, winter beers have gone under the radar….until now. Angelenos and fellow Californians are getting more into craft beer by the second, and breweries are starting to take note. It seems that this year many local breweries have come out with delightfully spicy, warm, and dark seasonal beers. These cozy brews make us feel like it’s winter already despite the still summery LA climate. Angel City Brewery tends to release very interesting seasonal beers year-round. From their Pomegranate Saison to their For the Sake of Ale, they never settle for average. This year, they re-released their powerful winter porter brewed with vanilla beans. With a 6.5% ABV, it’s one of the lighter winter beers on the list, but Angel City’s Porter still packs a flavorful punch. On the nose, you’ll get sweet notes of vanilla, coffee, and dark chocolate. The taste follows suit with a full-bodied mouthfeel and a rich, creamy, and smooth chocolate flavor. The best part about this beer is that you’ll be able to pick up a 12 oz for less than $2. I would stock up while they last. While everyone is familiar with Anchor Brewing’s signature Merry Christmas brew, this year Anchor fans got a surprise winter seasonal with the inaugural release of their Winter Wheat. I wasn’t sure what to expect from this beer. You’d think it’d just be your typical wheat beer, but right from the pour, I noticed this one would surprise my taste buds. I was right. It pours a very dark coffee-like black, with a good, foamy head. The aroma consists of a spicy, bready, and thick molasses smell, likening to a porter. Once on the tongue, a rich, roasted, malty flavor with hints of caramel, chocolate, and plum fruitiness takes over. This one’s a keeper. Hopefully, Anchor continues to brew this wheaty winner for years to come. First off, the bottle has a great label. An eye-catching blue majestic mountainside drawing with pleasant yellow lettering, it draws you in. It’s a German-style Eisbock lager “brewed with superheated Basalt rock.” The lager pours a dark caramel brown with a light boozy and sweet smell. Light-bodied, it has a mostly chocolate taste with a bit of maltiness and sweetness. Without reading the 10% ABV content, you wouldn’t even know, although the warm “fiery” feeling is certainly there. Is there a better name for a Christmas beer? Santa’s Little Helper is most definitely the kind of beer that’ll get you through the holidays. 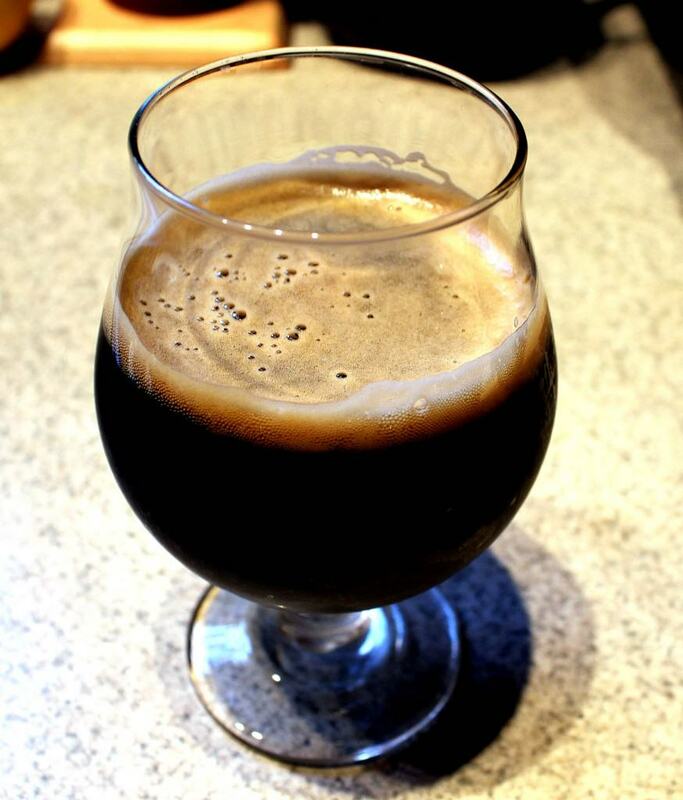 With a rich black pour and big foamy dark brown head, this imperial stout looks delicious from the start. On the nose, it smells of cocoa, espresso, and brown sugar. A mouthwatering aroma. The taste doesn’t fall short either. It starts off with a roasty chocolate and coffee taste, followed by some spices and a little bit of bitterness at the end. The 10% ABV is present, but not overpowering. Very silky and creamy. This beer would make a perfect ice cream float. Santa’s Little Helper is a beer jolly ol’ Saint Nick will certainly be happy with. Most of these beers will be available until January, or even February. I wouldn’t hold off on trying these, though. Enjoy these dark brews while it’s still chilly out and you’re still feasting on those holiday dinners.